Fifty three Croatian wines have won awards at the Decanter World Wine Awards 2010, one of the most prestigious and acclaimed competitions in the industry. The results were announced to the wine trade at the London International Wine Fair at the ExCeL centre in London's Docklands last month. A total of 10,983 wines were entered, more than double the number of entries to the first competition seven years ago. In total, 68.8% of wines submitted received an award – with 11.9% being awarded Silver medals while 2.86% won a Gold or Regional trophy. The international trophy winners will be announced at a special dinner at London's Royal Opera House in Covent Garden on 1 September. Croatia won 1 Regional Trophy, 12 silver and 14 bronze medals, and 26 commended awards at the competition. Below is the list of the awarded wines. Wine in Croatia has a long, long history. It was the Greek settlers who first introduced vineyards to the Croatian coast in the 5th century BC and wine production has flourished ever since. During the Homeland War, many wineries and vineyards were destroyed but the winemaking industry has rushed back. Croatia now produces up to 700 wines, some of excellent quality. Purists may scoff, but Croatian have the habit of diluting their wine. In the south, they call it bevanda and in the north, they call it gemist. As in France, wines are strictly labeled according to their origin. There are some 300 official wine regions divided generally into coastal and interior wines. The majority (67%) of wine is white and produced in the interior while 32% is red and produced along the coast. Rose is relatively rare. Although there are hundreds of grape varieties in Croatia, experts agree that the red Plavac Mali grape produces the best red wine. Plavac Mali is genetically identical to Zinfandel grapes which clearly come from Croatia, not Italy as has long been thought. Croatia's sparkling Prosecco wine comes from Bogdanusa, a white grape. Malvazija from Istria and Posip from Korcula produce Croatia's most renowned white wines. In northern Croatia, look for Zlahtina from Vrbnik on Krk Island; Cabernet from Porec; Sauvignon, Merlot and Terrano from Buzet. In Dalmatia look for Dingac and Postup from the Peljesac Peninsula, Babic from Primosten, Vugava from Vis, Plavac from Bol, Malmsy from Dubrovnik, Posip and Grg from Korcula. Croatia has been hailed as a major force in the wine world after the country won more gold medals than established rivals including the US, New Zealand and Portugal at a leading tasting competition. Eight Croatian wines were awarded the plaudits at the Decanter World Wine Awards, trumping the achievement of many far larger, better-known producers. The number of gold medals is a particularly impressive achievement for a country which saw many of its leading vineyards destroyed in the Croatian War of Independence in the early 1990s. The judges were impressed by the strong, tannic red wines that are produced on the Adriatic coast, which has a similar climate to the South of France. But the real stars were sweet, white wines, which won the bulk of the medals. Angela Muir, in charge of judging the country's wines for the awards, said: "Croatia really was the discovery of this year - some great white wines, both dry and dessert, with bags of character and a whole bouquet of varieties and styles." One of the gold-winning white wines was the Bodren Pinot Sivi, costing about Ł35 a bottle, and was described by the judges in their tasting notes thus: "Toffee apple, clove, smoke with a silky sugared texture and persistent lingering finish." Mrs Muir described the sweet whites as "exclusive, expensive, high-end and they are no question up with the great Sauternes." 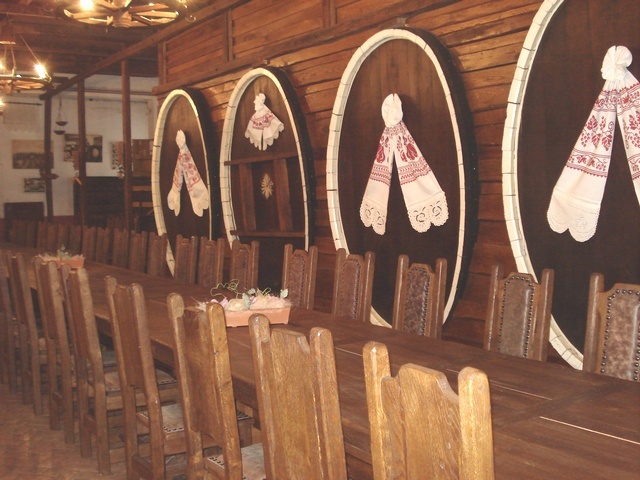 The white wines, including the dessert wines, are made from Chardonnay, Pinot Grigio or Traminer grapes as well as the local Graševina variety, similar to Italian Riesling. Adam Lechemere, editor of Decanter.com, said: "This really puts Croatia on the map. They are reasserting their mastery of dessert wines. And if you are a fan of sweet white wines, you would be a fool to miss them. "Croatia really can now take its place as a serious player in the wine world." Though Croatia's eight gold medals beat Chile's four and Argentina's seven, fans of unusual wines will have to make a serious effort to track them down in Britain. While supermarket wine buyers have become increasingly adventurous in recent years, stocking more English wines, Austrian fizz and unusual sherries – another big winner in the Decanter awards – no mainstream retailers sells Croatian wine in Britain. Shoppers will need to find a specialist importer or join the increasing number of holidaymakers that have discovered Croatia and its wines in recent years. Croatia boasts that its wine making industry is one of the oldest in the world, dating back to possibly the bronze age and certainly the Greek era. Milijenko Grgich, a Croatian who has become one of the most successful Californian winemakers, has argued that the Plavac Mali - one of Croatia's main red grapes - is in fact the original variety from which Zinfandel, or the Italian Primitivo grape, is derived. Malcolm Gluck, the author of the Superplonk guide to wines, said: "The Balkan region is hugely interesting. They enjoy much the same climate as Italy and southern France so there is no reason why they can't produce just as good as wine as these areas." 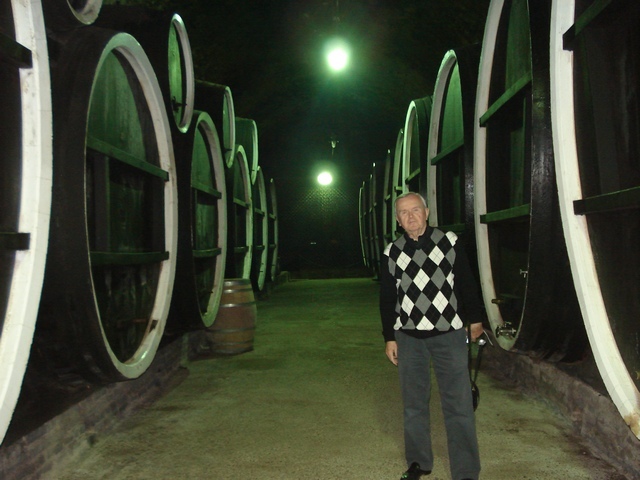 Famous Ilok Wine Cellars, North East of Croatia. Ilok is a lovely town near the Danube river. The hilly area around the town of Ilok, is known since Ancient times as "Delicium Mundi", due to high quality white wines from their wineyards. The most famous is TRAMINAC, known as Royal Wine. It was served during the coronation of Queen Elisabeth, and is still represented in the Queen's collection of wines. The town of Ilok suffered very much during the Serbian aggression on Croatia in 1990s. The Ilok Winery (Ilok is a Croatian town on the Danube river) can boast that in 1954 Great Britain oredered 11000 (eleven thousand!) bottles of wine for the official ceremony of coronation of the British Queen Elisabeth II. 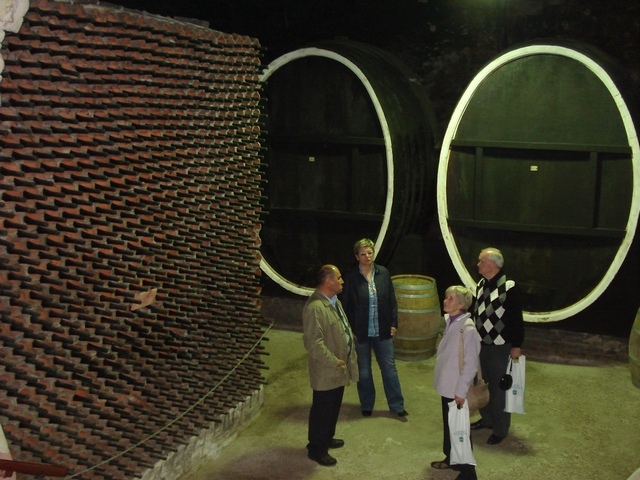 The Ilok wineries produce 4-5 million liters of wine per year. 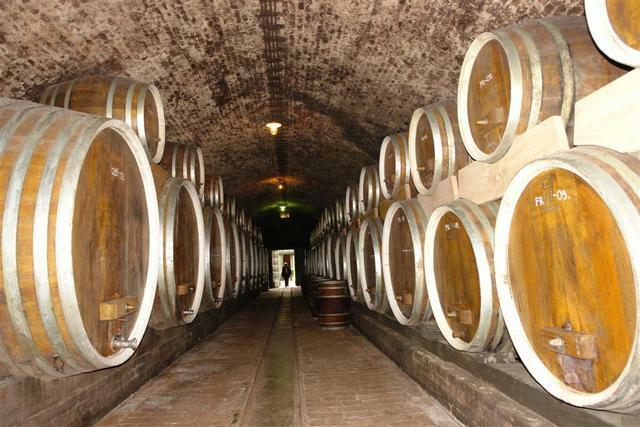 The wine cellars of Kutjevo on the Croatian north exist continuously since 1232, that is, for nearly eight centuries! The Kutjevo wines are very famous in Croatia. 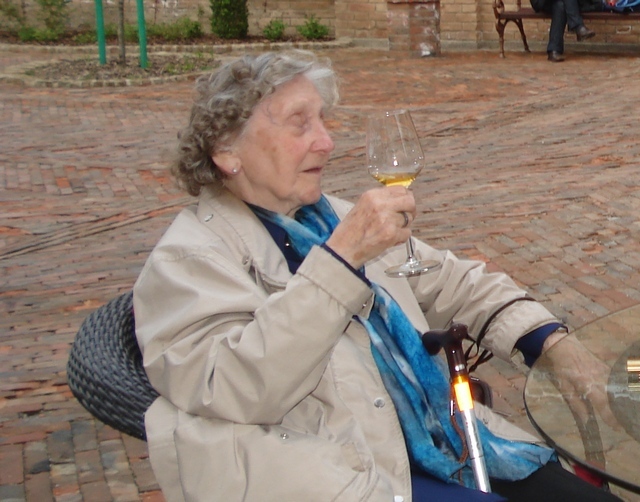 With Ilok golden wines everybody feels younger. This is another good reason for going back to Croatia... visit all those vineyards and sample all these award winners!